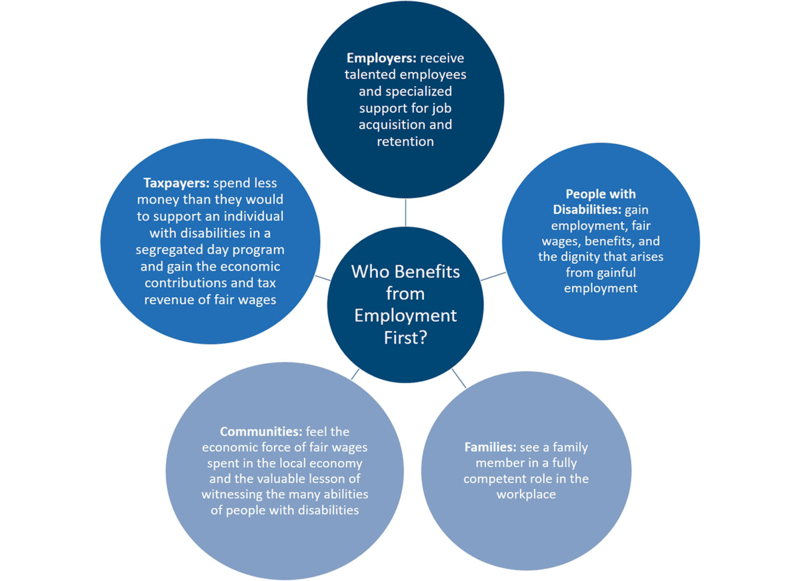 Employment First is a movement to deliver meaningful employment, fair wages, and career advancement for people with disabilities. The antiquated practice of sheltered workshops did not end with the implementation of the Americans with Disabilities Act (ADA). This year alone, the federal government will spend hundreds of millions of dollars paying segregated day programs to employ working-age adults with disabilities. Too often, these workers are paid only pennies an hour and isolated from opportunities to participate in their communities. 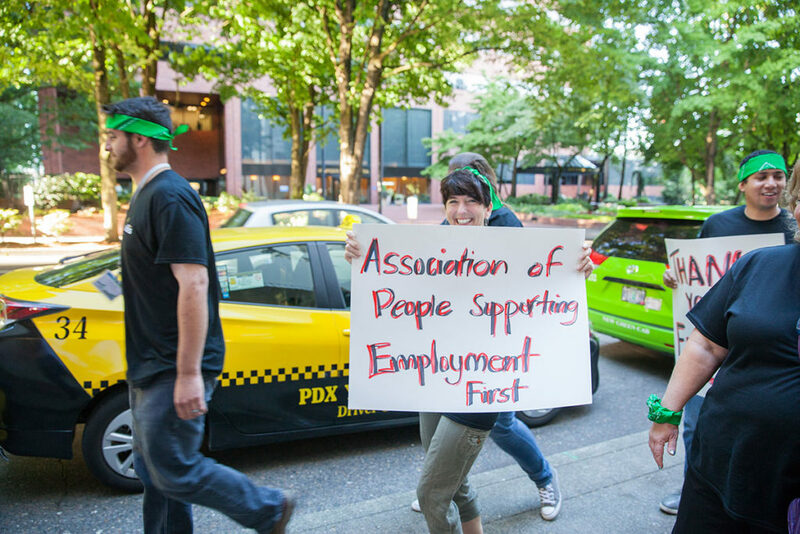 APSE is the only national organization devoted to Employment First. We’ve worked for decades on policy, advocacy, and sharing the best practices, tools and connections to move the needle forward toward inclusive, fair employment for all. Centers for Medicaid and Medicare Services (CMS) can, over time, reverse its spending of approximately $500 million per year for segregated day programs and slightly above $100 million per year to support competitive employment. Congress can strengthen language in the outcomes section of the Individuals with Disabilities Employment Act (IDEA) to state that the preferred outcome of transition service is employment in the general workforce. Congress can also strengthen requirements for real work experience in the community while individuals are in school. This is particularly important, given that work experience during teenage years is a strong predictor of employment success as an adult. Who benefits from Employment First? Employers receive talented employees and specialized support for job acquisition and retention. People with disabilities gain employment, fair wages, benefits, and the dignity that arises from gainful employment. Families see a family member in a fully competent role in the workplace. Communities feel the economic force of fair wages spent in the local economy and the valuable lesson of witnessing the many abilities of people with disabilities. Taxpayers spend less money than they would to support an individual with disabilities in a segregated day program and gain the economic contributions and tax revenue of fair wages. Does any group encounter a loss? Sheltered workshops lose an underpaid and isolated workforce with Employment First. Many sheltered workshops and day habilitation programs are financially lucrative enterprises that portray themselves as educational or charitable enterprises and take donations and government support. Does Employment First make a difference? Yes. For example, in the area of employment services for individuals with intellectual and developmental disabilities, Washington State has a long-standing commitment to policies and practices focused on employment in the community as the first priority. The end result is that 89% of individuals served by the Washington State system are in integrated employment services, compared to a national average of 20%. Many states are even well below this average with some at less than 10%.